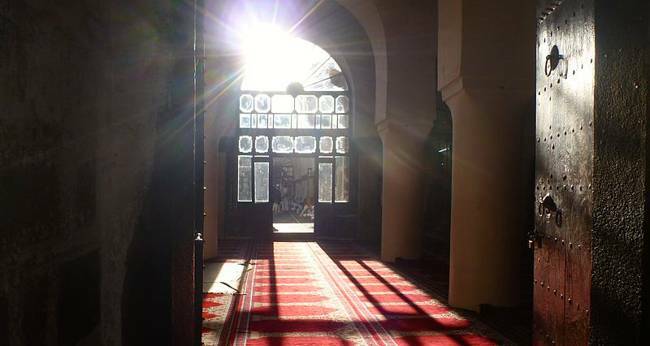 These 10 of the Oldest Mosques around the world would leave you proud and even nostalgic at the greatness of Islam in all corners of the world. Its history, story, kingdoms, wars that some of the Mosques have witnessed and yet are still standing as landmarks, a symbol of Muslims of the era bygone make we Muslims want to go there right now and supplicate to the almighty One God in those Mosques. Masjid Al Haram (Kaaba) - The Great Mosque of Makkah - is indisputably the first and oldest Mosque in the world, being the place where the prophet Ibrahim and his son, Ismail, (peace be upon them both) used to pray. 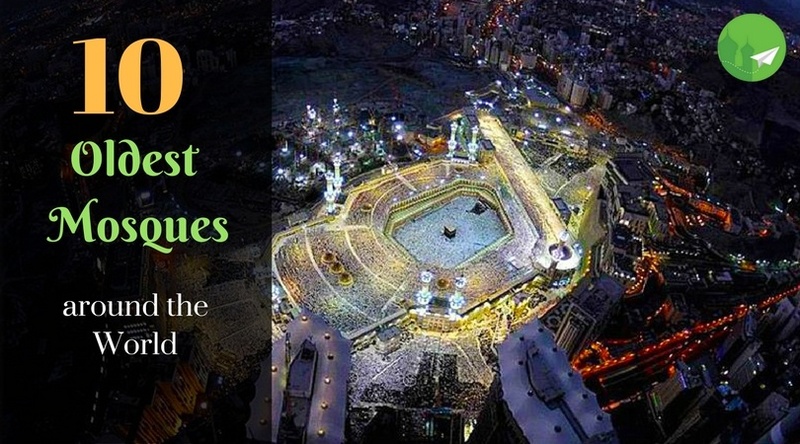 It is also the holiest of the holy sites in Islam. 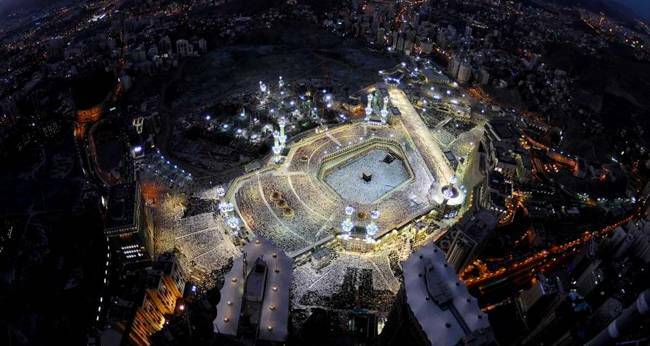 Muslims all over the world turn to the Qiblah direction of the Kaaba 5 times a day. It is the first house for humanity, built for the worship of One God Allah. 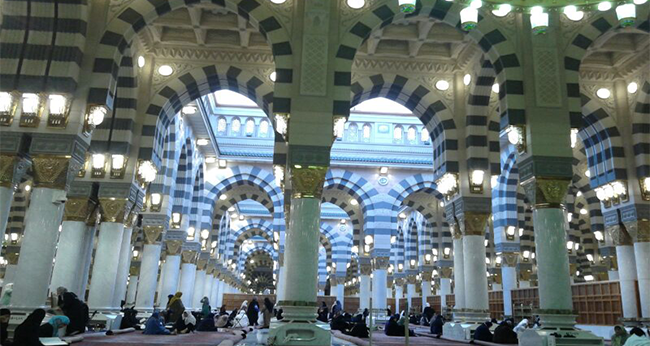 Al-Masjid An-Nabawi, also called the Prophet's Masjid, is located in Medina, Saudi Arabia. Built just after the Prophet (peace be upon him) migrated to Medina from Makkah, it is considered the second holiest site in Islam. Almost 1,400 years old, it has undergone many extensions from its beginnings as a humble structure, to now be the second largest Masjid in the world. 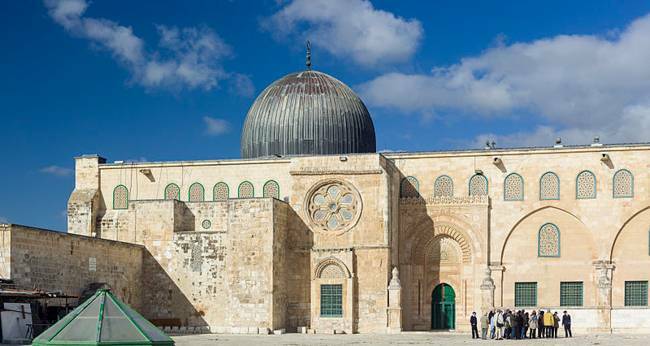 Al-Aqsa Mosque in Jerusalem built in the 705 A.D is a very important and holy site in Islam. According to a Hadith by Al Bukahri, it is the 3rd holiest site and a prayer there is worth a 1000 prayer. It is also the Masjid where our prophet Muhammad (pbuh) prayed on the night of Mirage. 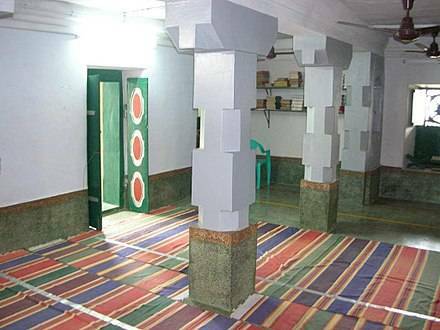 It was also the former Qibla direction for 17 months after emigration to Medina after a revelation to which the Qibla was turned towards the Kaaba. Al Aqsa has withstood many earthquakes, captures and was returned to its former glory by Saladin from the crusaders after the capture of Jerusalem. This Masjid is the one filled with history and pride of all Muslims throughout the world. The Great Mosque of Sana’a also known as Al-Jami al-Kabīr bi-Ṣanʿāʾ is located in Sana'a, Yemen and is built during the 7th – 8th century. It is built next to the Ghumdan Palace site. The Mosque has a great architecture built over time in different era. Considerable renovation was done by Queen Arwa Ibn Ahmed in the year 1130. The Mosque is also in the Unesco World’s Heritage list. 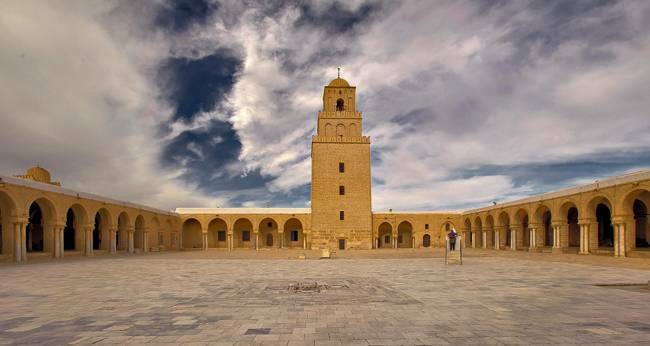 Mosque of Uqba also known as the Great Mosque of Kairouan is situated in the city of Kairouan, Tunisia. The city is a UNESCO World Heritage town. It was built by an Arab General Uqba Ibn Nafi in 670 at the time of the founding of the city. It is important Mosque in Tunisia and the architectural style of the Mosque was followed throughout the Maghreb region. The Mosque was a centre of learning both in Islamic thoughts and Secular sciences before the educational universities centred around Tunis in the 11th century. 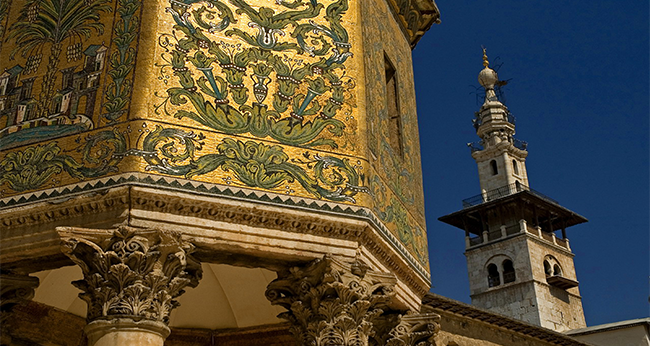 Ummayad Mosque also known as the Great Mosque of Damascus is in Damascus Syria and is one of the oldest Mosques built in 634. It was built after the conquest of the Arab on a former Basilica site dedicated to Yahya (the prophet). The Mosque has withstood many dynasty and ruling periods and is one of the most visited attractions of the country for its immensely beautiful architecture and of course the lure of history. 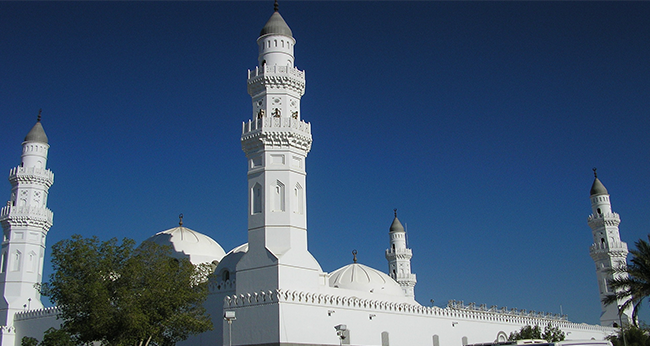 The Quba Mosque (masjid) is the one of the oldest Mosques of the world. The first stone for the construction of the Mosque was laid by our prophet Muhammad (pbuh) himself in the year 622 after he emigrated to Medina from Makah. It has its mention in Sahih Hadiths by Bukhari where the prophets (pbuh) use to ride or walk to the Mosque (masjid) on Saturday and offer 2 rakah Salaah. 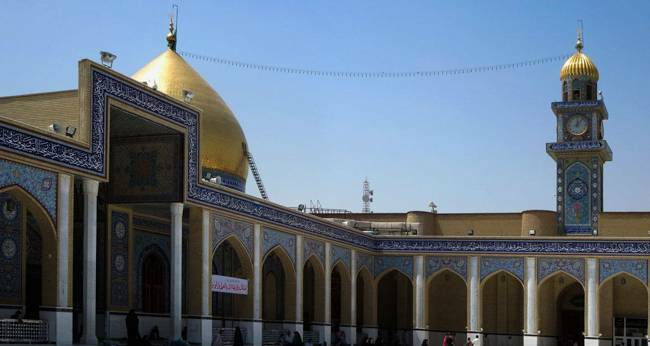 The Great Mosque of Kufa in Iraq was completed in 670 AD and is one of the famous and revered place of prayer Among the Shia sect of Muslims. 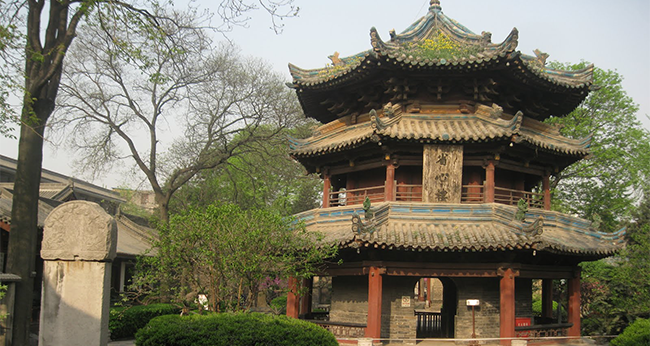 The Great Mosque of Xi'an in China is the oldest Mosque in China. It was built and completed in 742. Unlike the Mosque around the world with domes and minarets, this Mosque is built in a Chinese pagoda architectural style. There are also Arabic inscriptions within the Mosque. It is also a tourist attraction for people who visit the place. Next time you take a trip and visit these countries, make sure you make it to the list of the oldest Mosque of the world. Read more about mosques around the world!